A recent BBC article suggested that modifying human DNA by editing human embryos ought to be permitted by UK law. 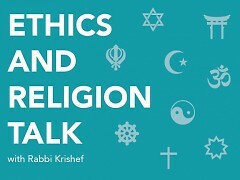 What does the Ethics and Religion Talk Panel think? The Baltimore Catechism taught us to respond to the question, ‘why did God make us?’ with the response, “to know and love God in this life and to be with Him in the next.” Pope Francis told the Cardinals in March of 2013, ‘when the Church is self-referential, inadvertently she believes she ​has her own light.’ Likewise, when humanity is self-referential, then humanity believes it is an end in itself. Although profoundly unqualified to be writing on medical ethics, I find the nature of this question disturbing. The Roman Catholic Church remains constant in its teaching that human life is created by God. The presumption that science may assist human beings in the creation of designer children is, in my humble opinion, profoundly flawed because it is a manifestation of narcissism. At this stage of development scientists acknowledge that we are not able to edit DNA safely and effectively. There are too many risks right now to think that this is a possibility tomorrow. If this is ever an option it looks like we are about 20 years away from it. Let’s assume that the process is fully developed and very low risk. I suspect that if it is found safe and reasonable affordable people will start to demand its availability. So it is wise to begin our inquiry into the appropriate ethics now. I can easily see a couple of different viewpoints coming from Hindu scholars. One would be that the bodies and brains that we have now are the results of the karma of past lives. So we are put into the circumstances that are the most appropriate for further spiritual growth. To modify that in any way would be to disrupt the course of our destiny. Yet this line of thinking could be taken to the extreme, not allowing therapies to be offered to those who are in need once born. I’ve never heard of treatments being withheld for this reason. And I can easily see the other view being voiced. That is, while the soul is permanent, unmovable and unchangeable, the fact that we can modify future generations is evidence that our mundane identities are malleable, as the scriptures indicate. 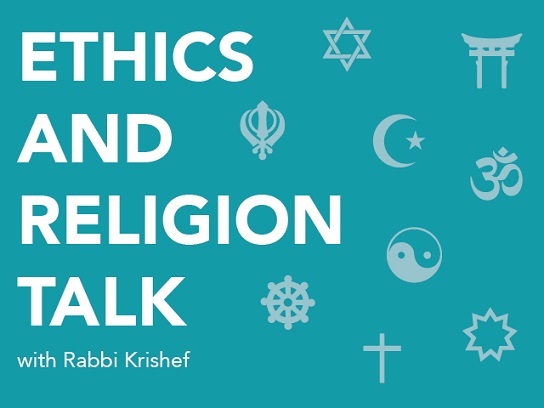 While Unitarian Universalists are often strong supporters in the advancement of science there are huge moral and ethical concerns to be considered. If the modification is do to health or survival issues then this could be considered, although with caution. If the modification is to create what has been called a ‘designer baby’ this seems both morally and ethically lacking. As in all medical decisions it is best left to the patient in consolation with her physician. Since ‘human embryos’ are, as the Concise Oxford Dictionary says, human ‘offspring before birth’ or ‘a thing in rudimentary stage,’ as yet ‘undeveloped,’ then there is every warrant for the authorities of the state to take measures to protect them and to regulate what modifications may be made to them. Without such regulation, the way lies open for anything and everything, good or bad. The state, and every citizen of the state, has a duty of care to protect human life in all stages of its development, ‘from womb to tomb.’ Reformed Christians believe that they have a duty of love to their neighbors to protect them from hurt, and that ‘whatsoever tends to the destruction of the life of any’ is a sin forbidden by the Sixth Commandment (‘Thou shalt not kill,’ Exodus 20:1; see also Heidelberg Catechism Q. 107 and Larger Catechism Q. 136). There are two categories of genetic modification which ought to be treated, as much as possible, separately: repair of genetic defects and enhancement of human ability. In addition, modifications might affect the child alone or they might affect the germline, that is, the child would have the ability to pass the modifications to his or her descendants. Because germline modifications would have consequences to the human genome for generations, there is widespread international agreement that such editing should not be done at this time. From an ethical and religious point of view, there is no difference between treating an individual patient on a genetic level for diseases such as Huntington's disease or cystic fibrosis or treating the disease after it manifests in a child or adult. In either case, the goal is to cure the disease or at least to treat or lesson the symptoms. The genetic treatment, however, is at a rudimentary stage and the consequences of genetic alteration on other aspects of the DNA are not yet known. We are at a stage equivalent to performing an organ transplant knowing that it is likely that complications will kill the patient, but each time we do it, we learn how to manage the complications better. The research, under closely watched conditions, is likely to produce life enhancing results. Genetic enhancements to human beings to increase brain size, strength or size, or to choose hair or eye color or other physical features, are not ethical. The unknown dangers of the procedure as well as the history of the early 20th century eugenics movement, which led to forced sterilizations in this country and the Nazi holocaust in Europe far outweighed any possible benefits to the human genome from experimenting with enhancing the genome.